Home > Kits > Rosalie Applique Wall Hanging Kit with Pattern 36" x 46"
Rosalie Applique Wall Hanging Kit with Pattern 36" x 46". This is a stunning wall handing and very fun to make. 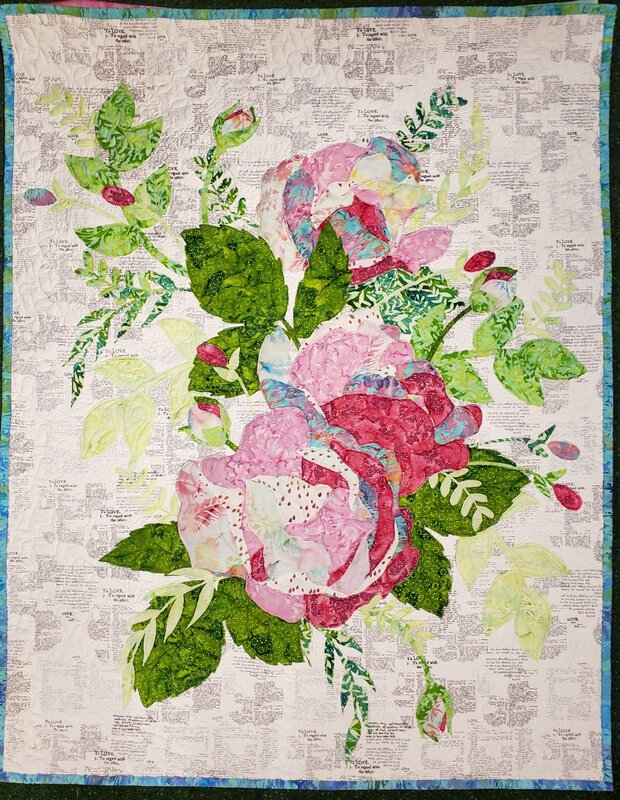 Kit includes fabric for all applique, background and binding plus the pattern. You will need 1.5 yards for Backing. We used Gradiants II Splash, listed as a 'Suggested Product' below.